As rehearsals begin, Producers Sonia Friedman and Colin Callender announced that joining Jamie Parker(Harry), Noma Dumezweni (Hermione) and Paul Thornley (Ron) are Nicola Alexis, Helen Aluko, Jeremy Ang Jones, Rosemary Annabella, Annabel Baldwin, Jack Bennett, Paul Bentall, Anthony Boyle, Zoe Brough, Sam Clemmett, Morag Cross, Cristina Fray, Rudi Goodman, Claudia Grant, James Howard, Christiana Hutchings, Lowri James,Chris Jarman, Martin Johnston, Bili Keogh, Chipo Kureya, James Le Lacheur, Helena Lymbery, Barry McCarthy, Sandy McDade, Andrew McDonald, Tom Mackley, Adam McNamara, Poppy Miller, Tom Milligan, Jack North, Alex Price, Stuart Ramsay, Nuno Silva, Cherrelle Skeete, Esther Smith, Nathaniel Smith, Dylan Standen and Joshua Wyatt who complete the casting for Harry Potter and the Cursed Child. 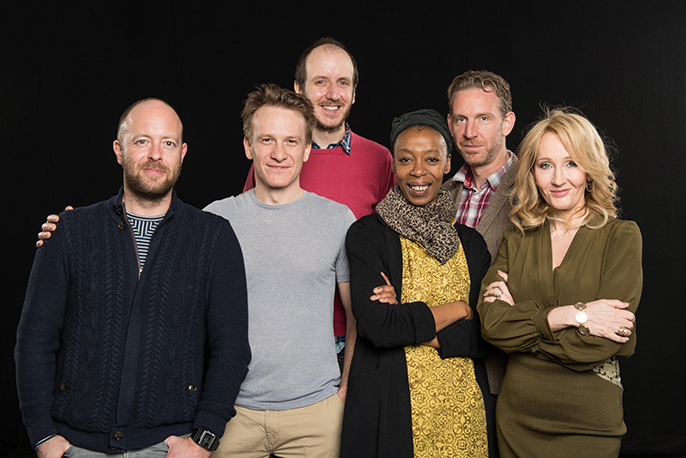 Based on an original new story by J.K. Rowling, Jack Thorne and John Tiffany, Harry Potter and the Cursed Child is anew play by Jack Thorne, directed by John Tiffany. It will receive its world premiere in London’s West End at the Palace Theatre this summer and is the eighth story in the Harry Potter series and the first official Harry Potter story to be presented on stage. Harry Potter and the Cursed Child is one play presented in two parts. Both parts are intended to be seen in order on the same day (matinee and evening) or on two consecutive evenings. The first preview performance will take place at the Palace Theatre on 7 June 2016 as scheduled. Harry Potter and the Cursed Child is currently booking to 27 May 2017, with opening performances of Part One and Part Two on Saturday 30 July 2016.